Ubisoft’s game ‘Tom Clancy's The Division 2’ gets beta test date! Announced since March 2018, it looks like the release of ‘Tom Clancy's The Division 2’ is imminent. Indeed, the game published by Ubisoft has a trailer ahead of its launch. Thanks to a newly released trailer, fans have been able to get more details about ‘Tom Clancy's The Division 2’. It showed the three enemy factions, called the True Sons, the Hyenas and the Outcasts. The game is expected to launch on Microsoft Windows, PlayStation 4 and Xbox One on March 15, 2019. Aside from a video preview, beta test dates have also been revealed for the game ‘Tom Clancy's The Division 2’. Expected to be held privately, they will take place from February 7th to 11th 2019 and will be organised via sign-ups which have already begun on the Ubisoft website. Reportedly, this option is meant to boost the purchase of the one of the special editions at an earlier date. A dual partnership between Massive Entertainment and Ubisoft, ‘Tom Clancy's The Division 2’ went through a change of scenery. Indeed, the previous chapter was in New York while the most recent one is set in Washington, DC. 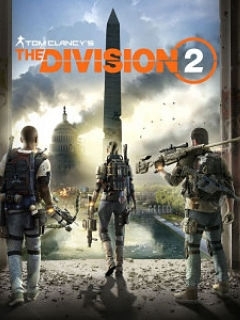 Taking place seven months after the first video game, players have to navigate through a civil war while trying to complete objectives. Currently positioned as the fourth-biggest gaming business in America and Europe, Ubisoft is behind some of the most successful game franchises. Indeed, they have published ‘Assassin's Creed’, ‘Far Cry’ and ‘Just Dance’ among others.